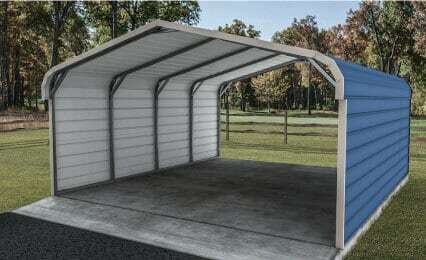 Offering custom or prefabricated metal buildings, carports, garages, barns and RV covers for whatever your need is. These flexible and adaptable structures are easily put to great use around the home or business in multiple ways. Works for all kinds of uses, from the homeowner with a single car to the aspiring mechanic expanding their home business. 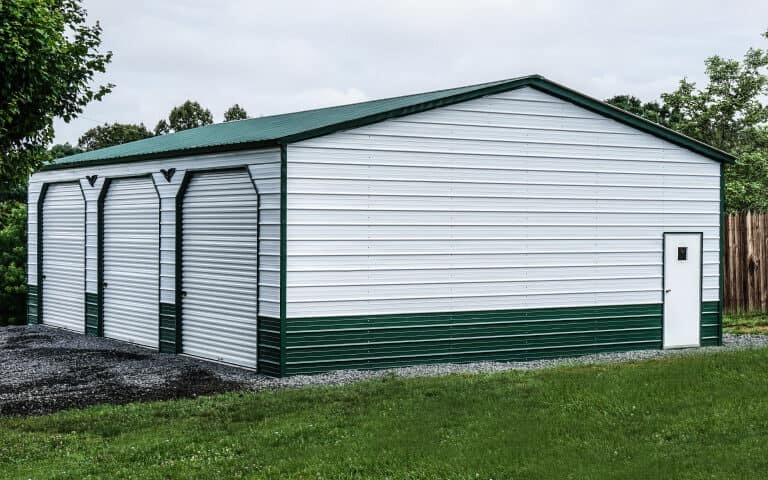 Metal barns are a modern choice that work better on today’s farms and ranches than traditional wood-framed structures. 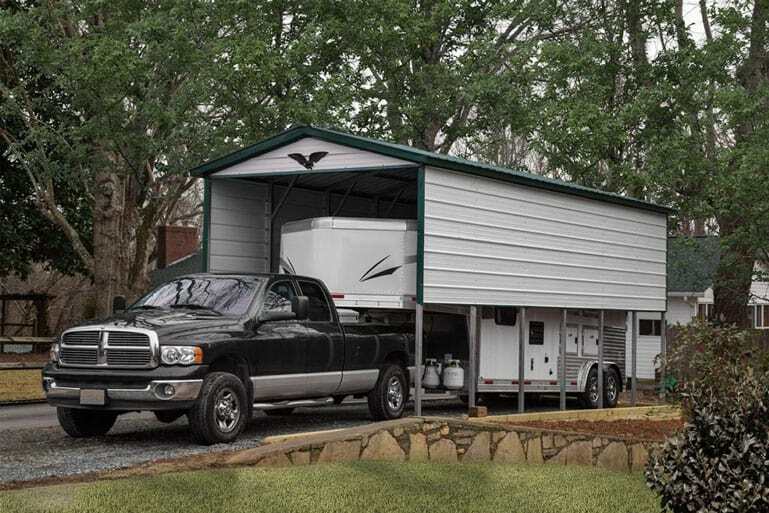 Our compact and efficient RV Cover designs make the most of limited space, keeping your equipment covered & protected. Looking for a metal building? We can help. 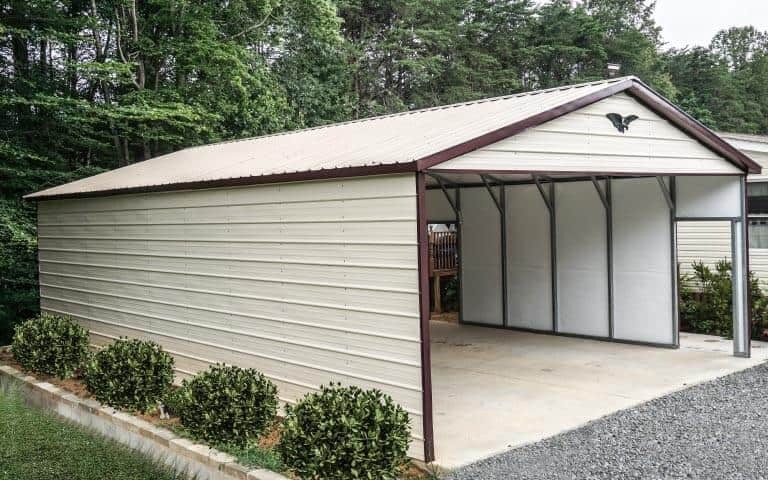 In business for over 20 years, we provide the largest selection of quality metal buildings including metal carports, metal garages, metal barns, metal RV covers, metal barns, and metal commercial buildings. Metalcarports.com services all of the filled-in states above. Please select the state you are interested in for your metal building installation. You will be directed to a page with buildings that may interest you, but are not limited to. If you can’t find what you are looking for, send us a message or call us at 1-877-517-4422 and we will guide you through the necessary steps. Ready to bring your vision to life? Easily Customized. 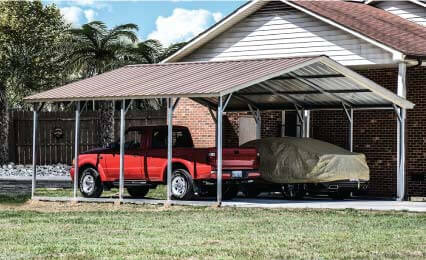 With plenty of customization options at your fingertips, your carport is sure to be the perfect protection for your vehicles or storage. Our experienced customer service team is standing by to help bring your ideas to reality! Contact us today to discuss your vision and we will guide you on the next steps to bringing your custom metal building to life. Explore our industry articles for helpful tips & information while searching for your metal building. Interested in getting started? Simply fill out our short form with the necessary fields to request your free quote! View our service area map to explore metal building options in your state. Our building prices vary by state and zipcode. Need some help? We’ve got you covered! You have the option to call us, send us a message, or join a chat for assistance. Thank you for everything! From the time I ordered my building until the time the three hardworking gentlemen came to install it was a pleasure dealing with your company. I am completely satisfied with the finished product. My wife and I recently purchased a 18 x 36 RV carport and we are extremely pleased. The structure was installed at our hunting camp in Waycross, Georgia. The staff were very helpful and knowledgeable, particularly Heather and Ash. The installation crew arrived at 6:30 PM and had the carport up and were leaving by 9:30 PM after cleaning up the area. The following day it rained very hard and there wasn't a single leak in the roof. 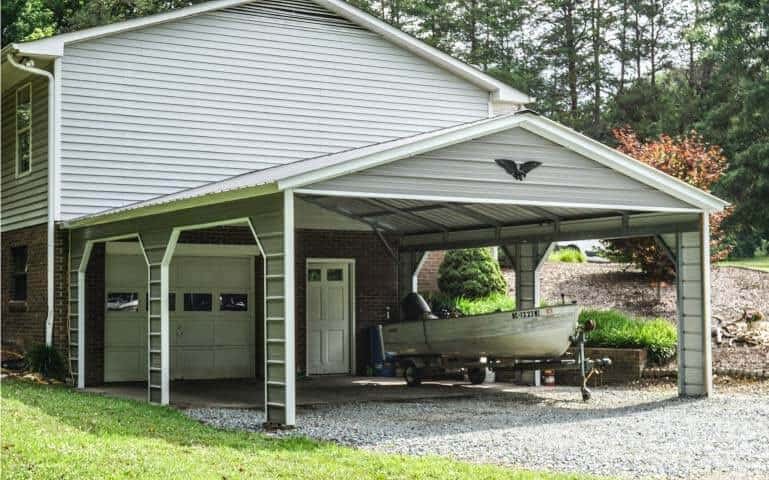 We really couldn't be happier, we’d like to thank everyone involved in this endeavor and would certainly recommend anyone considering having a carport installed. Thank you again. A Metal Carports.com service representative is standing by to answer any questions you have M-F 8:30am – 5:30pm EST. If it is after hours, send us a message! If you prefer, you can send us a message and we will get back to you as soon as possible. Want to chat? Our team is standing by to help! 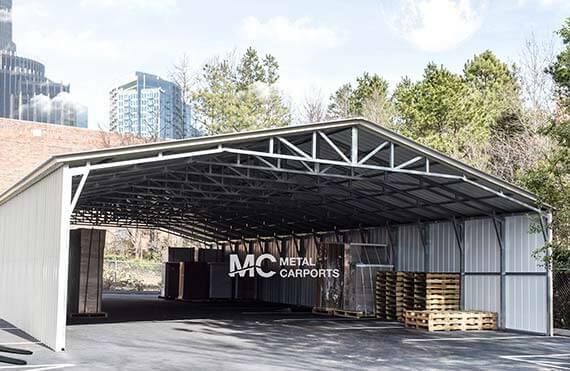 Metalcarports.com is a specialized metal structure retailer. Copyright © 2019 MetalCarports.com | Metalcarports.com owned and operated by Metallum Structures, Inc.